As a tech who constantly battles against the surge of viruses, I loved Vista’s UAC and it’s ability to fend off viruses like no tomorrow. Viruses normally programmed for XP had extreme difficulty even running at all in Vista (as well as many older video games). This made Vista immune to the large majority of viruses out there on the net. Recently however this has changed as virus programmers update their tools and find more security holes in Vista’s UAC armor. 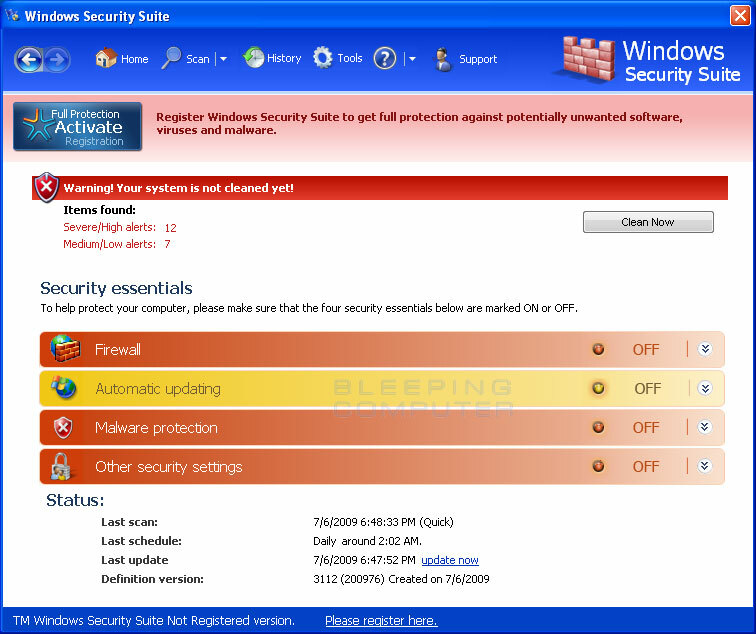 Here are Seven things you can do to protect yourself against this newest spree of viruses. First and most importantly… UPDATE UPDATE UPDATE!!! Microsoft as well as many other developers are constantly programing updates for your software to help defend against such attacks. 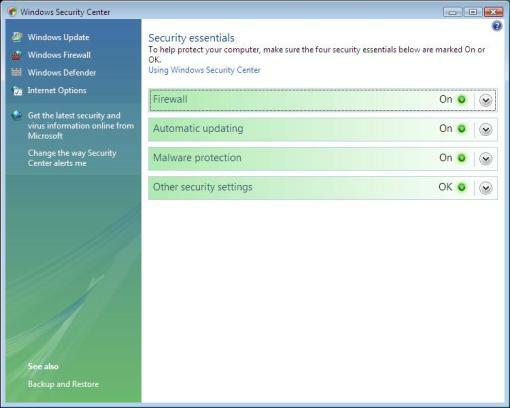 Due to modern viruses and their ability to attack the kernel and other low level areas of windows, if you don’t enable these updates your computer may get infected regardless of the Anti-Virus protection you have. An important Vista update is Service Pack 2 which is already on the Microsoft download site but not yet in the automatic updates. This update changes the kernel and many of these low level areas making them immune to certain rootkits, as well as some other types of attacks. Second, make sure you are using protection before you use the Internet. Just as you would use protection for other things…. seat-belts for instance, you should insure your anti-virus software is running and that the windows security center is running properly, before you surf the net. If you do not have a anti-virus program here are a few $FREE$ programs that I recommend (only install one as most anti-virus programs interfere with each other). The best way to avoid viruses is by not getting them. 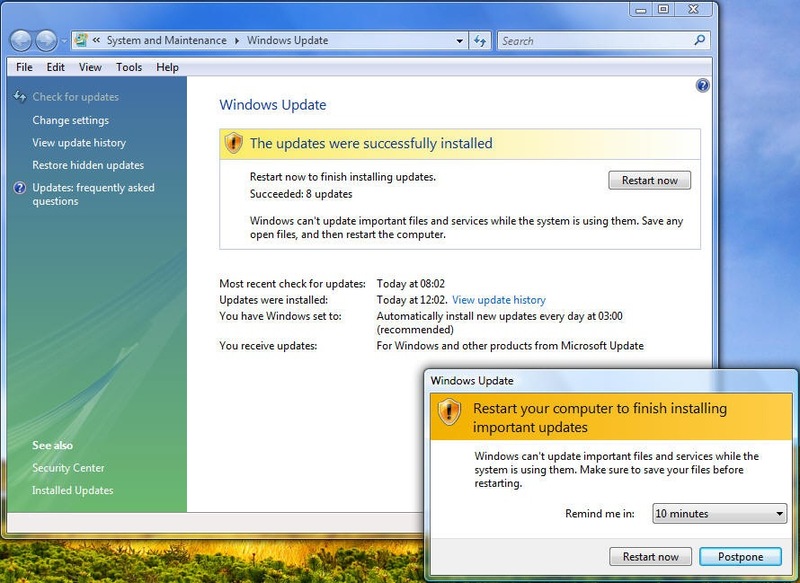 Yes, I know this sounds ridiculous but most viruses get on to a system by the user INSTALLING them. 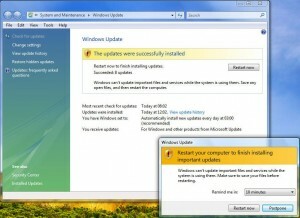 Avoid toolbars, only install software from sources you trust, and most importantly If a pop-up says “YOU’RE INFECTED!! 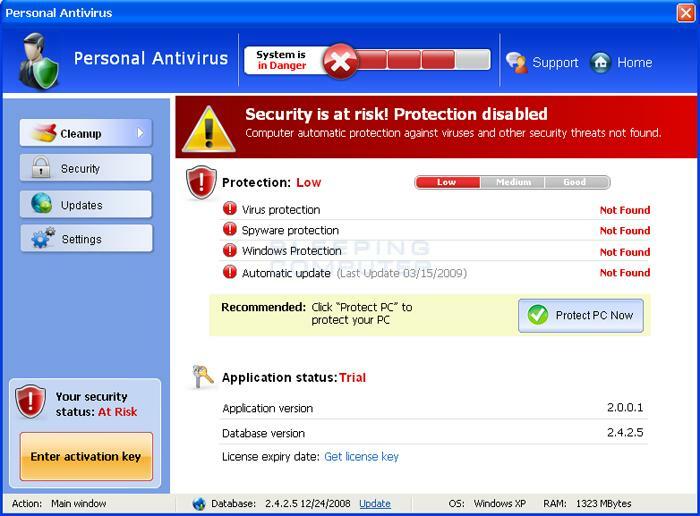 CLICK HERE TO REMOVE VIRUSES WITH OUR AWESOME POSSUM ANTI-VIRUS SOFTWARE!! !”, DO NOT INSTALL IT!!! No pop-up could ever possibly know that you have a virus on your system, and no legitimate Anti-virus Company would EVER advertise their software in such a manner. If you were to ever download anything from a pop-up it’s 99% certain it’s a virus. Just close that pop-up. A good adblocking software is adblock plus for Firefox. 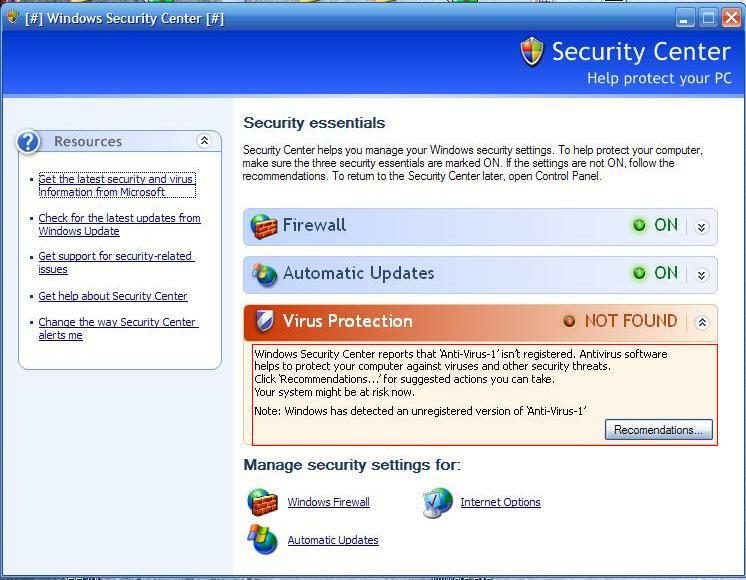 Fourth, Is your Anti-Virus Program REALLY an Anti-Virus Program??? This is another thing that sounds ridiculous, however I assure you there are A LOT of fake Anti-virus programs. Every week I come across a new one that some unsuspecting user has installed to get rid of the viruses already on their system. They’ll pose as a Microsoft Program, or a Norton Program and even AVG. Just remember not to download a program unless you’re certain it’s from the site that made the program. Here are a few common expamples that I have come across. If you have any of these you have a VIRUS. Fifth, SAY NO TO TEMPTATION! Most Pirated software is infected with Malware. STAY AWAY FROM PIRACY. If someone was to ask me where most people get their viruses I would have to say Pirated music. If I see Limewire on a computer it’s almost certainly infected with malware. Limewire itself comes preinstalled with spyware! If you’re downloading things for free off the internet that are normally very expensive, there’s a good chance that there’s a virus hidden somewhere in that download. 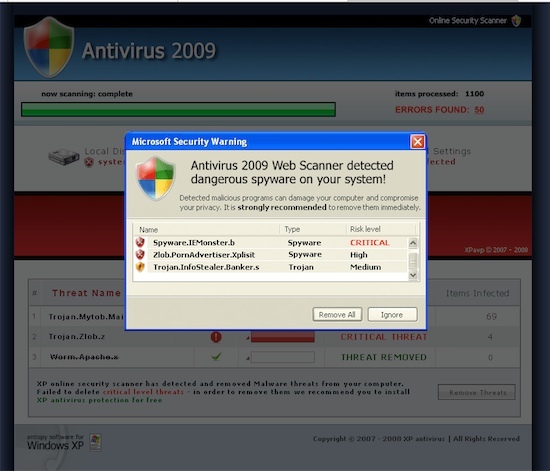 Modern virus techniques use encrypted installers that most antivirus programs can’t see through. So even if you scan the file beforehand you won’t know there’s a virus there until it’s already infected your system. If you do however decide to ignore this warning, a lot of sites (like isohunt.com for instance) now have a comments and/or rating section. Be sure to check the comments before you download anything. Sixth, If you’re not sure, ask. There are several times when I myself don’t know the answer to the question “Is this a virus”, but I simply smile and say “wait a minute… I’ll go check”. There are over a billion people on the net nowadays so there’s a good chance someone else has run into the same existential quandary as you. So somewhere on this crazy net of ours, there is an answer. 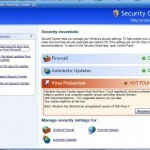 Here’s a list of sites I like to use to check if a certain program is a virus. http://www.bleepingcomputer.com/ and their Facebook Page. http://en.wikipedia.org/ Sometimes there’s an article describing the programs’ evil doings. http://www.google.com/ I usually add “how-to remove” before the program that I’m checking out. If the word virus is used a lot, it’s probably a virus. Finally, don’t worry. There’s hope for you yet! If after everything here you still seem to be infected with every virus under the sun and no Antivirus program seems to work for you. Remember that you can always bring in the computer to us here at Custom PC Solutions. We’ll remove the viruses so you can be happy browsing once again!! “We’ve all seen the Mac vs PC ads mocking us, claiming that Macs never get viruses. If that were true, there wouldn’t be a botnet of infected Macs completely controlled by unknown hackers. Security researchers at Symantec recently discovered a group of thousands of Mac OS X computers infected with a trojan horse application embedded in pirated copies of iWork 09. The infected users had installed the software without scanning it for viruses, no doubt in part because of Apple’s commercials implying that Mac users don’t need to worry about security. Once the hacker managed to get his malware installed on these zombie Mac computers, the entire group was fully under his control – and he began to use them to attack web sites, but they could be used for other, more nefarious purposes: like sending spam! Wait, a Mac can get a virus? That’s exactly right: no operating system is immune to viruses, worms, trojans, or even spyware. To be fair, the vast majority of all malware targets Windows users, especially unpatched and horribly insecure Windows XP machines – but that doesn’t mean other platforms can’t or won’t get viruses, especially as Apple gains market share and attracts the notice of the hackers. My problem with this whole story is that Mac users should be educated – you simply cannot download software from BitTorrent and start using it without doing a virus scan first, and Apple should stop mocking security in their commercials. But this Hack Required User Intervention, it’s Not Apple’s Fault! That’s quite true! This problem was caused by users downloading software illegally, entering their admin password, and installing it by choice. Hardly Apple’s fault. But… this is part of a broader issue: Lying about security features will not keep the hackers away! Apple needs to take security more seriously, or else they will run into the same problem that Microsoft did with Windows XP: massive virus/worm infections across the board, and millions of zombie computers sending us spam. Case in point: last month, a couple of hackers were able to crack a fully patched MacBook in a few seconds, requiring nothing more than clicking on a link using the built-in Safari web browser. If Mac users are conditioned into thinking that they don’t need to worry about security, these types of attacks could escalate in the future. 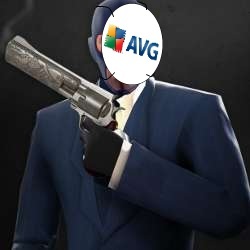 You are currently browsing the archives for the Virus Alerts category.